It was not until 1920 that the name of Giuseppe Antonio Pianca surfaced, exhumed by Roberto Longhi, from the narrow circle of scholarly Valsesian chronicles. It was at a conference that put Pianca on an equal footing with Magnasco and paved the way for studies that led to the monograph and the catalogue raisonné. And yet, with few examples of his work existing outside Italy, the artist is still largely ignored by the international research community, and, as a consequence, has not met with the reception that his great originality deserves. Pianca's work belongs in a painterly universe of great singularity; it is a synthesis of the most expressive colourist tendencies of his own and the previous century. His anxious figuration, with its powerful plasticity and denseness of matter is the reflection of an eventful life. Pianca was a native of the Piedmontese valley of Valsesia. He had to leave in a hurry at the age of eighteen after making a local girl pregnant with no intention of marrying her. He took refuge in Milan in 1721, where he was prosecuted by the court of Varallo, Valsesia. He was eventually arrested in 1726 and served a six-month sentence in the Varallo jail. In the meantime, in Milan, young Pianca had been following in the footsteps of Borromean-era painters such as Morazzone, Crespi and Procaccini who, in the early 17th century, had perpetuated the formal distortions and whimsical imaginings of late Mannerism that his contemporary Filipo Abbiati still persisted with. But the encounter that was be a decisive influence on his art and his way of seeing was with Alessandro Magnasco. From Magnasco, Pianca discovered that it was possible to combine unbridled, larger-than-life execution with expressive fantasy. Even so, his production was devoted almost exclusively to religious paintings commissioned by local churches, without, however, abandoning his dark sensibility. Grinning Madonnas, chubby Christs and sickly-looking saints joyfully populate his paintings. 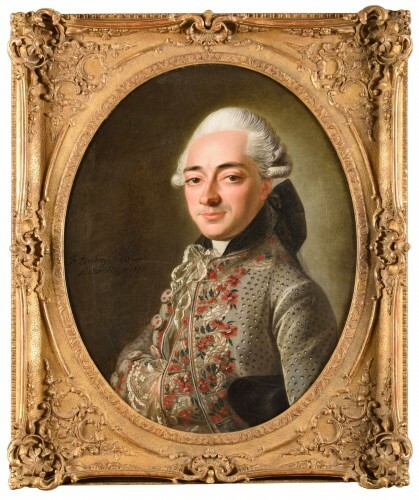 From the early 1740s, Pianca led a nomadic career. After his marriage to a Frenchwoman – "Giovanna Tribau" (probably Jeanne Thibaut or Thiébaut) –, in 1742, in his hometown, he is found in Cremona in the service of Count Tornielli di Vergano. 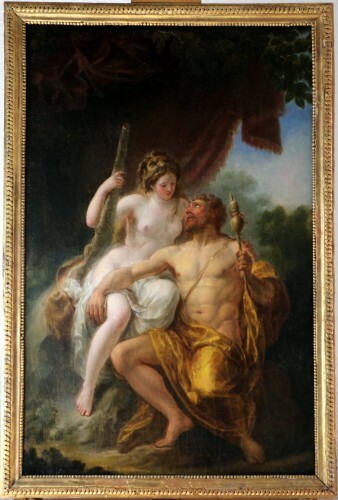 He developed his skills in fresco painting by decorating the grand salon of the Visconti palace with a cycle on the story of Moses, along with allegories of the Virtues. He also worked on the Campagnola Villa in Corte de' Cortesi. It was probably thanks to the patronage of the Tornielli family that Pianca moved to Novara, close to their palace in the parish of San Giovanni e Paolo. His success in the area earned him the nickname "Pianca Novarese". The Martyrdom of Saint Lucio painted in 1745 for the Church of Sant'Eufemia is one of the crowning points of his oeuvre and has earned him a place in the history of modernity for the way it prefigured Romantic painting. It is the polar opposite of a religious painting; the action is depicted as a secular news story, a brutal murder in the undergrowth reduced to the dimensions of a vignette in a large-scale landscape. The death of his wife in 1748 brought an end to a short period of happiness. Heavily in debt, Pianca took to the road again and settled in Milan. 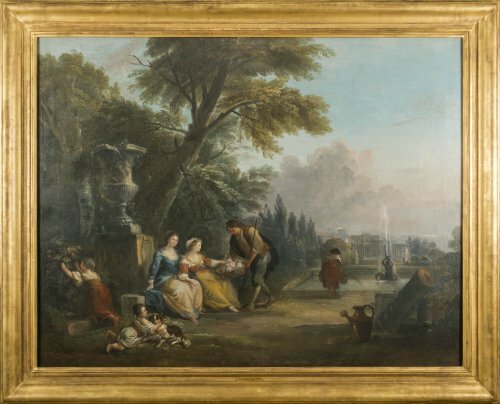 Although he could not count on any help from his family – he broke ties with them between 1757 and 1759 –, he continued to receive commissions for his native region. His life is documented only by his works during that last Milanese period, which ended with his death in 1762. The subject of Moses defending the daughters of Jethro suggests that it was probably a continuation of the cycle painted for Tornielli in 1742. 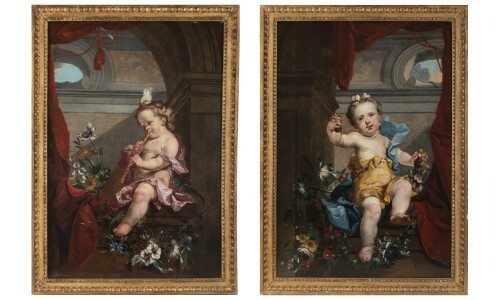 The existence of two versions of Moses Saved from the Water, one of which, from its format, is the potential counterpart of our painting also suggests that the artist had moved on from decorative painting to easel paintings, most probably in order to satisfy demand created by the novelty of his style, modelled on French rococo painting, which he would have absorbed by looking at works produced by Carle van Loo during his stay at the Savoy court in the 1730s. But if Moses Saved from the Water is a perfect example of decorative painting, the wild energy of Moses defending the daughters of Jethro is the absolute antithesis. The savagery of his assault on the canvas, the swollen shapes and forms, the rejection of any grace, the glaucous, undifferentiated colouring of the broad-brushed landscape are the product of a very personal sprezzatura, leagues apart from contemporary French academic savoir-faire.